The Boulder Bach Festival programs a first-ever in Colorado or the world at almost every concert we present, in one way or another. Whether the music of Alban Berg and Charles Ives performed on period instruments, Barbara Strozzi on electric instruments with modern dance, or unpublished ancient music resurrected, we are committed to exploring performance practices, and bringing the audience on the journey with us. When presenting a new or unfamiliar work we have an unmarked canvas upon which to paint in sound. There is no expectation. When we are involved in delivering such a work, we are engaging in a truly authentic practice of the eras that pre-date recorded sound, when most music was newly composed, and therefore unfamiliar. In our February 2019 concerts we will be reviving a concerto grosso by Robert Valentine, recently rediscovered and critically edited by Nicholas Carthy. Since 2013 the Bach Festival has been presenting music from circa 1550 to world premieres by living composers. We navigate the waters of music history with Bach as our compass, across time and across cultures. On the one hand this isn't revolutionary in and of itself: Bach and Mozart festivals from Oregon and California to Germany and The Netherlands have been presenting everything from Stravinsky to Jazz for decades now. Bach is honored in the festival's name, and a good deal of what we present is either Bach, his contemporaries, or something programmed to contextualize what happened in music since Bach. That said, we also present other music for the sake of presenting other music. When someone hears our performances of Charles Ives and George Antheil played on gut-strung violin, a Parisian clarinet from 1919, and an Érard grand piano from 1895, they might become curious to attend a concert of Barbara Strozzi played on electric instruments with modern dance, or a concert of cantatas composed by J.S. Bach. The Boulder Bach Festival is unique in Colorado and the United States in that we present period instruments of the baroque, classical, romantic, turn-of-the-century, and 21st century. The acoustic environment (venue) does influence what we play and how we play. This is true for our instrumental programs as well as for our choral work. We present vocal ensembles that range in size from four members to eight, sixteen, twenty-four, and up to sixty members for large works in large concert halls. The singers too, adapt their style, articulation, phrasing, and method of tone production to the space and of course, the music. When we talk about historically-inspired performance, we aren't limiting ourselves to being influenced by one composer's performing forces (size of ensembles) and instrument set-ups in his/her own day (including gut-strung instruments, baroque bows and such), but we are also fascinated by the performance of Bach in Brahms's day, and during World War II, and during the rise and subsequent development of the early music movement in the past fifty years and more. We are interested in the original effect the music had on the listeners but also in gleaning insight into the original affekt, the character of sound, the rhetorical statements in the figurations, the inherent meaning in the harmony. Authenticity to one's self must come first. How do WE want to do this NOW, and WHY. I believe the conversation about ancient music shouldn't be limited to the question of what is the “correct” instrument, vocal technique, tempo, ensemble size, venue... Rather, the period instruments, treatises, letters, documents, old and new recordings, paintings, historical studies, improvisation practices, all lead to a way of living a liberated musical life not built on belief but rather, on personal experience. My own studies of baroque instruments, playing from manuscripts, reading treatises, and learning ornamentation and embellishment all started when I was fifteen years old. My teachers, Kenneth Goldsmith and Sergiu Luca insisted on an integrated way of studying music that included engaging primary sources, and systems and methods, while questioning them frequently. When I play electric violin with a baroque bow, I seek an electronic reverb that sounds as a European chapel with stone veneer. This resonance allows me to play the instrument the way I play a period instrument in an original space, such as a church in Venice or Florence. In some ways, on this continent some of my most arguably “authentic” performances of ancient music are played on amplified instruments, because the violin feels, responds, and even sounds similar to a gut-strung violin played in a resonant space. I've lectured on this topic at universities, most recently for engineering students in a design-for-manufacturing course at CU. My colleague Steve Ellenburg invited me to demonstrate how resonance increases the field of ideas and possibilities. That is, when sound projection is not a challenge, the possibilities of tonal color, independence of contrapuntal lines, and variety of articulations are ever more abundant. I play several different period violins, electric violin, violas, and shoulder cellos (cello da spalla). The bows I play vary from 17th and 18th century replicas to an original English bow from 1775 and an original French bow from 1820. I also play carbon fiber bows. For me these are all tools. Whether one is playing Portuguese fado, jazz standards, flamenco, Bulgarian music of the Roma, or European written forms, these are tools for expression of the music. The BBF artists are constantly exploring period practices, modern practicalities, and imaginative approaches to reliving our first profound experiences in sound, so that the music remains fresh, as if the ink is still wet. After all, the notation isn't the music! As a collaborative ensemble player, I'm exhilarated by the rapid firing neurons and the subtle communication that happens in real time, as we speak to one another in tones, responding and reacting, with the musical score as a map, and a treasure. The dance of playing chamber music is enchanting. A French music critic went to Venice and heard Vivaldi in concert (circa 1730). He later wrote that Vivaldi exhibited a passionate display of indiscipline. Passionate devotion to the spirit of the music is what historically-inspired music performance can be. Thrilling, exotic, sometimes bombastic and other times sensual. Each concert is a painting of ideas and reflections.  What makes the Boulder Bach Festival concerts special is the shared intention of the artists to look beyond the nuances of the written music and beyond its original context in time and place, and to let it breathe again as a life form. Naturally, examining the details in the score and studying the practices of yore are prerequisites to ever getting together on these ancient instruments (and vocal techniques) in rehearsal. But, as we open the door to understanding a musical artwork on its own terms we begin to understand it on our own terms. This is where our practice engages the mystical.